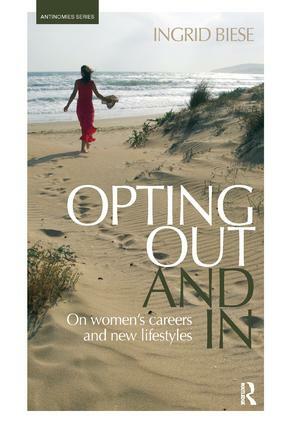 Opting Out and In: On women’s careers and new lifestyles introduces a new perspective and definition of opting out that better reflects contemporary issues and lifestyles. The book offers a timely and comprehensive analysis of the phenomenon of women leaving high-powered careers, adding to current debates on opting out. It investigates the themes of globalization, individualization and the age of high modernity and addresses issues of how gender, in the context of what it means to be a mother and career woman in a masculinist society, affects decisions to opt out. In contrast to previous debates, the definition of opting out is broadened to include leaving prevalent masculinist notions of career to adopt alternative ways of working. To better understand the identity issues and inner workings of the women who opt out, opting out is critically examined through three lenses: agency and autonomy; gender, femininity and the maternal; and, finally, concepts of reinvention. These three areas of inquiry all raise and problematize relevant issues that are present in women’s lives, and that have a deep and defining effect on concepts of the self. The book includes the narratives of six women, interwoven with in-depth social theory and relevant debates. Written in an engaging and accessible style, Opting Out and In will strongly appeal to researchers and practitioners alike, working in areas such as social theory, globalization, feminist studies and identity studies. 4.3. Nora’s Story: "I pulled the hand brake"
5. Epilogue: Opting Out and Then What? 5.2. Ella: Back on The Fast Track? 5.7. Opting Out – A Story of Success? Ingrid Biese is an Academy of Finland Postdoctoral Researcher at the Department of Management and Organisation at the Hanken School of Economics in Helsinki, Finland. After having opted out of a career in consulting, Ingrid started working on a PhD, which she received from the Hawke Research Institute at the University of South Australia. Her primary area of research is opting out and in among both men and women, as well as sustainable working cultures and career models. Ingrid has introduced a new definition of opting out to include leaving mainstream career models to adopt new lifestyles where one can live and work on one’s own terms. Other areas of interest are globalization, individualization, identity and gender. Ingrid regularly gives talks and engages in public debates on sustainable careers and lifestyles, for example through her blog theoptingoutblog.com.